1) Hand each child all of the paper cut-outs that they will need for the project. Set out baskets of crayons and allow the preschoolers to color their picnic blankets, food cut-outs, and ant cut-outs. 2) Instruct each child to glue his or her paper plate cut-out onto the center of the paper picnic blanket. 3) Show the students how to glue their ants onto the picnic blanket so that it looks like they are marching away from the plate. 4) Tell the preschoolers that ants are able to carry bits of food on their backs, and allow the children to glue pieces of paper bread crumbs, cookie pieces, and apple chunks on top of their ants. Extra pieces of paper food can be glued onto the plate to represent leftover picnic food. 1) Give each child a paper plate and a handful of green clay. Show the children how to shape the clay into a flat oval, representing the grass at the base of an ant hill. 2) Hand each preschooler a larger scoop of brown clay. Show the children how to mold and shape their clay into an ant hill (wider at the base and either pointed or hollowed at the top). 3) Show the students how to make ants with bits of black clay (circular head, oval body, six small legs). 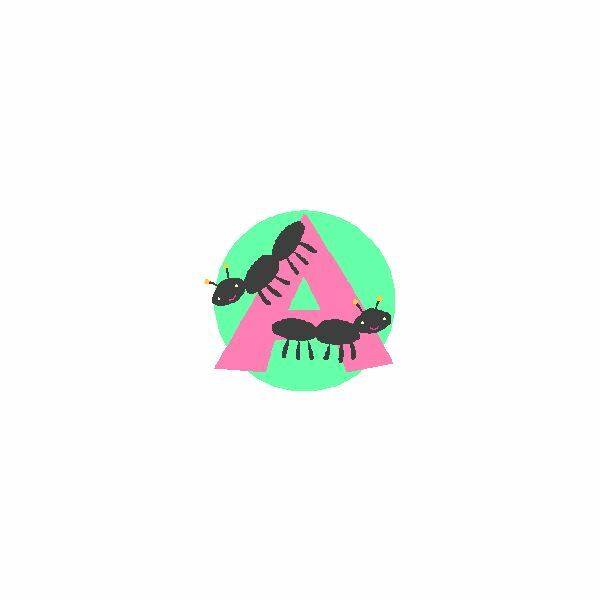 Allow the children to place their ants on the ant hill and in the grass below. 1) Assist the students in making "ants in the garden" by smearing peanut butter on celery sticks and placing raisins on top. 2) Place an ice cream cone upside-down in the center of a plate, and coat the cone with chocolate frosting, pudding, or peanut butter. Decorate the "ant hill" with raisin ants. 3) Show the children how to make a trail of ants headed toward a sweet snack. Place apple or banana slices on a plate and then allow the students to form a pattern of raisin ants around the fruit pieces. Ant art projects for preschool students nicely complement insect lessons or ant-themed activities. Young children will enjoy displaying their ant crafts in the classroom or at home.